This Rocktober Edition of Stay Hungry is pressed on black and pink vinyl and includes a classic poster of the band. 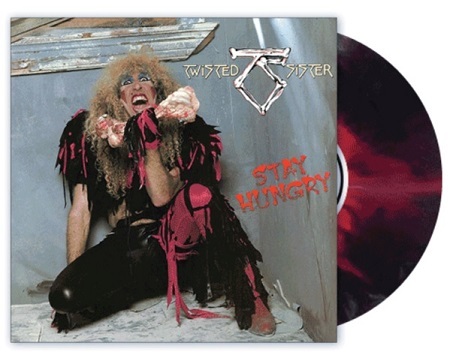 Stay Hungry is the third album by American heavy metal band Twisted Sister. Released on May 10, 1984, the album features the band's two biggest hits, "We're Not Gonna Take It" and "I Wanna Rock". Track Listing: 1. Stay Hungry 2. We're Not Gonna Take It 3. Burn in Hell 4. Horror-teria (The Beginning) a). Captain Howdy b). Street Justice 5. I Wanna Rock 6. The Price 7. Don't Let Me Down 8. The Beast 9. S.M.F.